The 3 non-points tournaments are now team points tournaments. A team maybe one single angler or two anglers. Anytime an angler competes with a different partner, that is a new team. There are no substitutions for team members. Points are awarded to the team that participates at each event and cannot be transferred to a different team. The only exception is if an angler competes in an event alone and request that the points be transferred to a team that they are now a member of. Each angler can do this two out of the six days. However, if an angler decides to fish solo as a team, that angler is only allowed to weigh five fish. Each two angler team is allowed to weigh six fish. First and second place team winners will receive trophies. Big fish will still win the big fish money. A teams best two finishes in a single season will count towards their year and final points. Interpretation of the rules shall be left exclusively to the Tournament Director. In the event of a rule violation, the Tournament Director may impose any sanction that he/she deems appropriate, including, with no limitation, disqualification. The decisions of the Director shall be final and non-contestable in all matters. 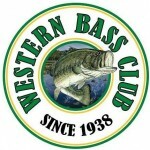 Only anglers who are current members of the Western Bass Club may fish club tournaments for prizes, trophies, and points. All entry fees must be received prior to the start of the tournament. All boaters must show proof of insurance with the required liability limits before the tournament start time on the first day. That they are present with the knowledge and approval of the Tournament Director. That they are not allowed to participate in the tournament. Main Tournament: $40 per contestant, ($2 Big Fish, $10raffle). Junior’s Division: $0 per contestant. Women’s Division: $5 per contestant. Couples’ Division: $5 per couple. The tournament waters shall be off-limits to all participants beginning at 12:01 a.m., five days prior to the tournament start date (Mon. 12:01 AM) and re-open at 12:01 AM Friday prior to the event start for pre-fish day. The Tournament Director shall determine the tournament start time and weigh-in time. Start times for both Saturday and Sunday will be at “first safe light” as determined by the Tournament Director. The Tournament Director sets the official time of day. Prior to the start of each tournament, a driver’s meeting will be held at the official launch site. Drivers failing to attend this meeting shall be last out at the tournament start. You may trailer your boat to another launch site on the tournament waters, but you may not leave the official start site until the start time of that tournament day. You must arrive at the official weigh-in site by boat. You cannot trailer your boat to the weigh-in site. All boats must be equipped with all required U.S. Coast Guard equipment, including, but not limited to, flares. Contestants and passengers must wear a chest-type life preserver whenever the main engine is running. All boats must display a “Contest” banner meeting the regulations of the Washington Department of Fish and Wildlife. All boats must have a functional ignition kill switch for the internal combustion engine. The driver must be securely connected to the kill switch any time the internal combustion engine is running. NO ALCOHOL is allowed on any boat during tournament hours. All boats must be equipped with a functioning, aerated live well. The Tournament Director will determine limits. Only large mouth and smallmouth bass will qualify, the minimum size limit to be set by the Tournament Director. Fish will be measured on a flat board with mouth closed and tail in any direction. Each fish the Tournament Director judges to be dead or unlikely to survive release will be penalized four (4) ounces. The Tournament Director is bound by law to end the tournament if more than ten (10) percent of all weighed fish are dead at the first day’s weigh-in unless the cause of mortality can be identified and resolved. Any closed waters and off-limit areas for the tournament will be determined by the Tournament Director. All fishing must be done from a boat. You may exit the boat to push or pull into an area you want to fish. Only artificial lures shall be used with the exception of prepared pork strips, etc. Only one casting, spinning, or spin-casting rod and reel may be used at one time. All bass must be caught in a conventional and sporting manner. Every contestant must posses a valid Washington State fishing license and all other permits (equipment, personal, etc.) as required by law. All contestants shall obey all State and Federal laws and follow the highest standards of sportsmanship, courtesy, safety, and conservation. Any infraction of these fundamental sporting principles may be cause for disqualification. Drunkenness by any contestant during tournament hours will not be tolerated and will result in immediate disqualification. All courtesies shall be extended to contestants and non-contestants alike. Any act which reflects unfavorably on the Western Bass Club or its goals may result in disqualification. Any infraction resulting in a citation by a Law or Wildlife Officer may result in disqualification. There will be only one official check-in point as designated by the Tournament Director. All contestants must reach the check-in point by the specified finish time or be penalized eight (8) ounces for every minute late. Contestants over fifteen (15) minutes late will not be allowed to weigh-in fish for that day. All culling and fishing must cease by the official weigh-in time. All culling tags must be removed before fish are weighed. All anglers must check in with the Tournament Director, with or without fish. Only bass determined by the Tournament Director to be eligible, per the contest rules, shall be weighed. Each contestant’s score shall be based on the pounds and ounces of the official weight, minus any penalties. Any ties will be decided by those contestant’s big fish. A coin flip will settle any secondary ties. All uninjured bass must be released unharmed. All protests must be delivered to the Tournament Director, in writing, within thirty (30) minutes of that day’s official check-in time. The Tournament Director will make a final decision on any protest before the awards ceremony. Points will then drop by five-point increments (85, 80, 75, etc.) in order of finish down to 10 points. All anglers finishing below a 10 point finish will receive 5 points for attending. Big fish of the tournament does not accumulate Angler of the Year points. In the event of a tie for Angler of the Year, the sole winner will be determined by the total weight of bass caught in the point tournaments that the anglers who tied fished in together. Solely for female participants to compete against each other for a Female Angler of the Year trophy, awarded at the year-end awards banquet. Prizes may also be awarded if we receive enough participation. Works the same as the Women’s Division, only couples compete as a team for a Couples Team of the Year trophy (and possibly prizes). Neither division affects our current regular tournaments. Both are treated separately and independently of the regular tournaments, and one another. However, they are not exclusive to each other, meaning you may compete in as little or as many as you qualify for at the same time. Women can complete in all 3, while men can compete in 2 (Couples and the regular Main Tournament). This means you can be fishing up to 3 different “tournaments” during the same events! You do not need to catch a different limit for each division. Rather, your single limit will apply to each of the divisions you enter. For instance, let’s say a couple enters the Couples division. In addition, she enters the Women’s division and he enters the Main Tournament. She weighs in an 11 pound limit; he weighs in an 8 pound limit. She now has 11 pounds in the Women’s Division and he has 8 pounds in the Main Tournament. They also have 19 pounds together in the Couple’s division (both limits combined). If she had decided to enter the Main Tournament as well, she would have had 11 pounds in that division as an individual contestant. The entry fees collected in the new divisions go towards purchasing trophies and prizes awarded at the end of the year. The 3 non-points tournaments are now team points tournaments. A team maybe one single angler or two anglers. Anytime and angler competes with a different partner that is a new team. There are no substitutions to team members. Points are awarded to the team that participates at each event and cannot be transferred to a different team. The only exception is if an angler competes in an event by them self and request that the points be transferred to a team that they are the member of. Each angler can do this two out of the six days. However if an angler decides to fish solo as a team he is only allowed to weigh five fish. Each two angler team is allowed to weigh six fish. First and second place team winners will receive trophies. Big fish will still win the big fish money. A teams best two finishes in a single season will count towards their year and final points. The Women’s and Couple’s divisions are available only during regular point’s tournaments. Entry fees and points for Women’s and Couple’s divisions accumulate separately. Standings, trophies and prizes will not be awarded at individual tournaments for Women’s and Couple’s divisions. Standings for all 3 divisions will be updated after each tournament, and announced in the newsletter and website. A woman can compete in 1, 2 or all 3 divisions; a male can compete in 2 (Main and Couple’s). Each couple will consist of one person and their significant other. Both must compete in the same tournament in order to be eligible. (No person is allowed to compete in the Couple’s division without their partner also competing in the same tournament). Definition: The two people in a Couple’s division entry are a “Couple” and will accumulate points as such for the remainder of the year in subsequent tournaments. Partner substitution: Only ONE (1) substitution of a partner, per year, will be allowed during the tournament season and still qualify in the Couple’s Team of the Year award. Two or more roster changes or substitutions will create a new Couple and points will be awarded separately. Points cannot be carried over from one Couple to another. Couple partners do not need to fish from the same boat (both can be “back seaters”). Assistance: Contestants may not ask for or accept fish from another person, including their partner, nor may they offer their fish to another contestant. Each contestant must weigh in only the fish he/she catches. Contestants may not have other persons hold spots/waters for his use. Each person in a Couple may weigh in a single limit of fish (as determined by the tournament director) for a total of 2 limits per couple. Points will be awarded in each division as follows: 1st Place: 101 points; 2nd Place: 95 points; 3rd Place: 90 points; Points will then drop in 5 point increments in order of finish. Year-end awards will be determined by adding acquired points in the best 3 or 4 tournament finishes in each division.